The first thing I noticed is that Watersnake electric boat motors have power that you can control. 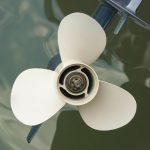 I was very impressed with this feature compared to the majority of electric boat motors I’ve used in the past. If you know even a little about electric boat motors they normally only offer thrust or nothing, they are all GO or NO. And that’s no good when you are trying to sneak up on fish. 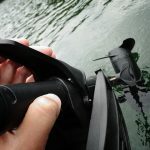 Watersnake trolling motors offer enough control over power so you can manage your thrust for slow trolling and manoeuvering quietly into the fishing structures you know the fish are hiding. It’s always a bit tricky when there is a strong wind blowing or a tide is moving, but that’s fishing and that’s the fun of it. At least, with a Watersnake you have control and you can battle the conditions and not just go full blast or stop dead and get taken the way nature decides. I especially like the quick release system on the mounting plate. It is really efficient as well as simple to use, particularly with very wet and cold hands in winter climates. The foot control unit continues to be the same from the original unit I examined, and that is fine with me since I think it’s comfort and ease is properly designed and definitely extremely simple to operate with your feet. One feature I like is power neutralisation once the engine is in the stowed position. This prevents it from accidentally starting when you don’t want to use it in the water. 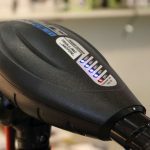 Even better, this power kill is great for protecting against accidental having your battery run down when you have it stowed away, especially when you are driving to your fishing spot. You might be surprised how many electric motors can start up from a bump on the road. There is nothing worse than finding you are out of battery when you are getting started in the water. 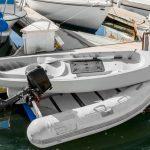 As a final note, if you haven’t yet had anything to do with electric trolling motors yet, Watersnake electric motors include power cabling equipped with ring type terminal battery connections. I suggest that you change these and go with an Anderson plug connection for easier use. Are you a fan of Watersnake electric motors? What is your experience? Share with everyone in the comments section below.